Today, Demand Progress, Fight for the Future and Free Press Action Fund announced plans for mass online actions on June 11, the day the FCC’s resoundingly unpopular repeal will go into effect. The groups behind BattleForTheNet.com, a site millions have used to contact their lawmakers in support of an open internet, issued a strong warning to lawmakers: Sign the discharge petition and support the CRA resolution to block the repeal before its effective date, or become the target of a summer activism campaign including ad buys, in-district protests, small-business pressure, and a barrage of angry constituent phone calls. Earlier this month, the Senate voted 52–47 in a historic upset to pass a Congressional Review Act (CRA) resolution disapproving of the FCC’s gutting of open-internet protections. More than 175 representatives in the House have already indicated their support for the same resolution. A total of 218 signatures are needed to force the CRA resolution to the floor, a goal that’s increasingly within reach in the wake of the Senate’s bipartisan vote. Net Neutrality protections have broad bipartisan support among voters across the country. 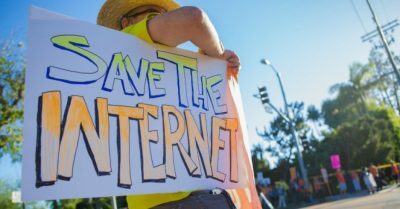 An April 2018 University of Maryland poll showed 82 percent of Republicans and 90 percent of Democrats oppose FCC Chairman Ajit Pai’s decision to repeal the Title II open-internet protections his predecessor put in place. Several other public polls show a consistent pattern of support for Net Neutrality protections among Republicans, Democrats and independents alike. June 11 will serve as the kick-off for intense campaigning focused on House lawmakers, who will be under tremendous pressure to support the CRA ahead of the midterm elections, given that voters from across the political spectrum overwhelmingly support restoring the rules.